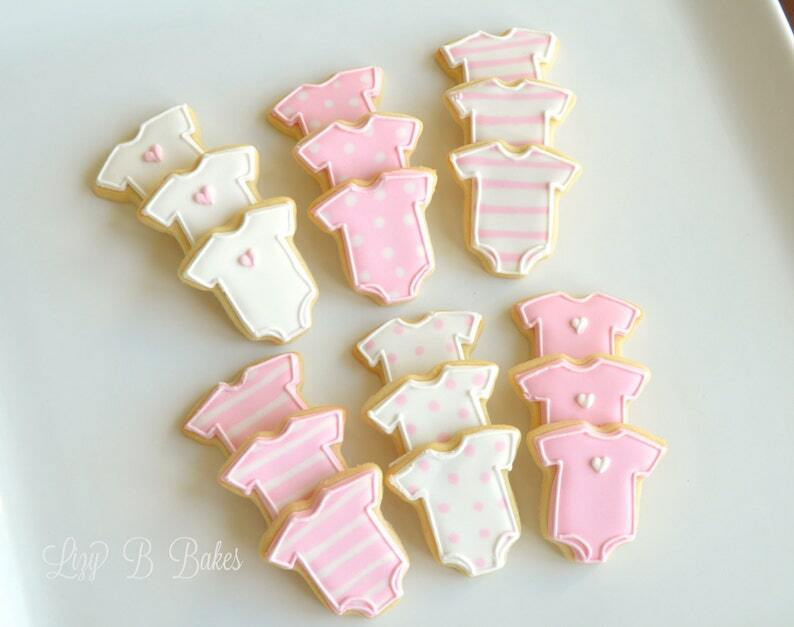 This listing is for 36 mini baby bodysuit cookies in a mix of solids, stripes and dots! Dimensions are approx. 2"x2''. Extra cookies are $18 per dozen. Contact us to add additional cookies! Most delish!! And super cute! !